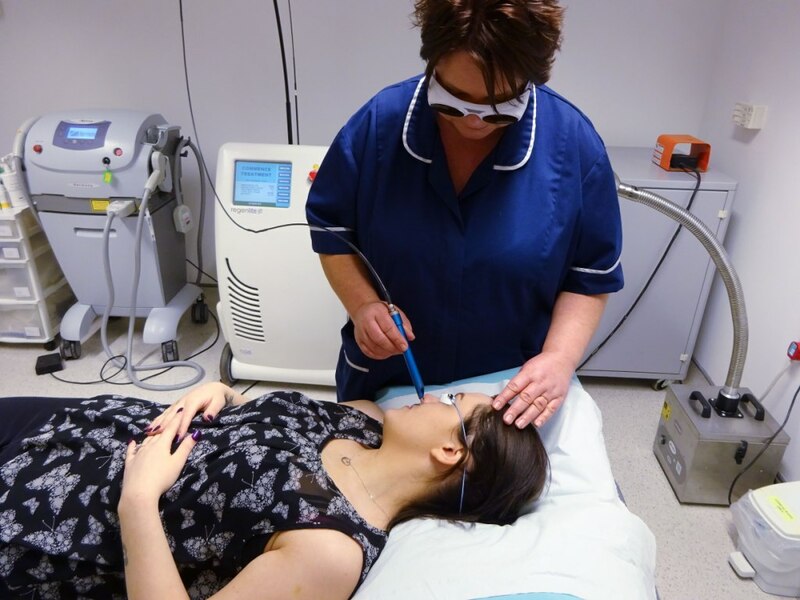 A laser system which is helping to revolutionise the treatment of acne is being used in Bolton for the first time to help sufferers of this painful and embarrassing condition. The Regenlite laser offers fast and effective treatment for acne and acne scarring, with visible results in as little as one treatment. Typically patients will need only three treatments for longer term results. Regenlite is backed by numerous clinical studies including publications in The Lancet and the British Journal of Dermatology. It has just become available at Laserase Bolton on the Royal Bolton Hospital site. The Regenlite laser works by delivering low frequency light pulses which stimulate the body’s natural responses to treat skin conditions such as acne. Although often thought of as a teenage affliction, acne can sometimes persist into adulthood. It can also arise later in life even when there is no history of spots. Numerous celebrities, from Katy Perry to Cameron Diaz, are reported to struggle with acne. About 5% of women and 1% of men have acne over the age of 25. Spots are caused by blocked hair follicles in the skin. Tiny sebaceous glands attached to these follicles produce sebum to help lubricate the hair and the skin to stop it drying out. Acne occurs when the glands produce too much sebum, which mixes with dead skin cells and causes a blockage in the follicle. There are a number of reasons for the glands producing too much sebum. This includes hormonal imbalance – for example many people have acne during puberty, some women have “break outs” before or during menstruation, and others can suffer from acne when they are pregnant or during menopause. More than 80% of cases of adult acne occur in women. One of the symptoms of Polycystic Ovary Syndrome (PCOS) is oily skin or acne. Acne can also be inherited – if both your parents had acne, you are more likely to get severe acne at an early age. Also, if one or both of your parents had adult acne, you are more like to get this too. Contrary to popular belief, acne is not caused by a poor diet or by unclean skin. Triggers can be anything from new cosmetics to certain foods and, for some people, whatever they do, they still get spots and “break outs”. Laserase Bolton has been treating acne for over 20 years and offers a range of treatments, which are tailored to a patient’s needs. All treatments are carried out by qualified doctors and nurses and the treatment options available are discussed in full with the patient at a free consultation. This entry was posted in Laserase Bolton, News and tagged acne, Bolton, laser acne treatment, Laserase Bolton on January 13, 2016 by Ethos public relations news. Our client, Laserase Bolton, is once again taking part in Bolton’s Big Christmas Toy Appeal and is already collecting toys for local children and young people. The appeal, which for many years was called the Caring Christmas Appeal, has been rebranded and Bolton Lions, the charity running the appeal in partnership with The Bolton News, has joined forces with Bolton at Home, Urban Outreach and Bolton Lads and Girls Club, to promote one large appeal with the aim of providing 2,000 children with toys this Christmas. People can drop off toys at Laserase Bolton during office hours and late nights on Tuesdays until 9pm and Thursdays until 8pm. Laserase will also be open for toy collection from 10am – 2pm on Saturday 28th November, 5th December and 12th December, as well as Sunday 6th December. For more information call Laserase Bolton on 01204 570900 or email admin@laserase-bolton.co.uk. This entry was posted in Charity, Laserase Bolton and tagged Bolton, Bolton's Big Christmas Toy Appeal, Charity, Laserase Bolton on November 27, 2015 by Ethos public relations news. Ashley Toth from Darwen was left regretting a huge owl tattoo on her lower arm and is warning other people to think before they ink. Luckily, with help from a North West laser clinic, Ashley is now well on the way to getting rid of her tattoo for good. 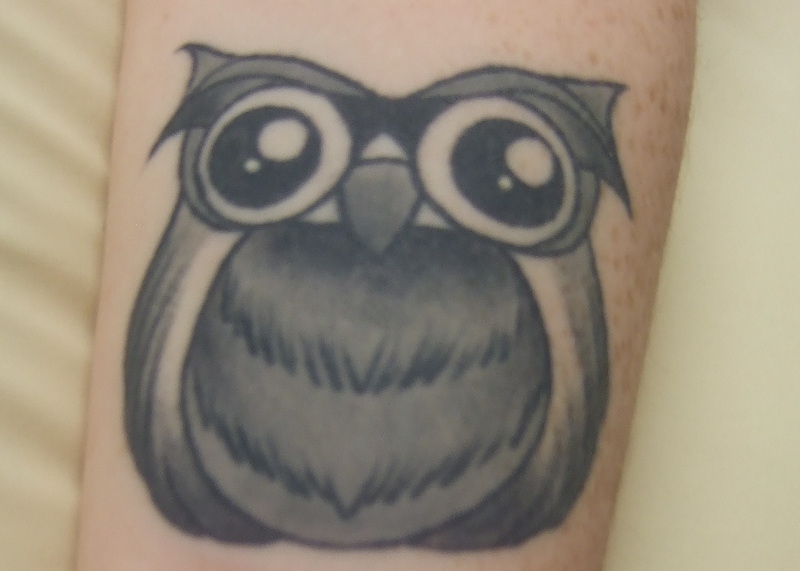 23 year old Ashley had always wanted a tattoo of an owl, as it was her favourite animal, but once she saw the finished design, she realised it wasn’t what she expected. 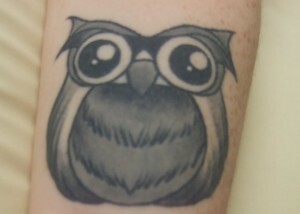 “I’d wanted a tattoo of an owl for many years,” says Ashley. “They were my mum’s favourite animal and they’re mine, so I knew that no matter what, it would always mean something to me. Ashley had her tattoo in April last year but, as time went by, she began to feel that it was too big and, even though she liked the design, she wished the tattoo was smaller. In the end, Ashley decided she couldn’t live with it any more. “After hearing about Laserase Bolton, I decided to take the plunge and get it removed,” explains Ashley. Laserase Bolton, located in the grounds of the Royal Bolton Hospital, is one of the leading laser clinics in the North West and has been using lasers to remove tattoos for over 21 years. “I have been having laser tattoo removal treatment regularly for the last seven months and I am already seeing good results,” says Ashley. “The tattoo has started to fade and looks a lot less obvious now. Ashley adds that, although the laser treatment can be quite painful, particularly on the areas of the tattoo where there is the most ink, the use of ice and numbing cream helps to make it less uncomfortable. Ashley is now warning other people to think carefully before they get a tattoo done. “Make sure the design is what you want and find out exactly how big the tattoo will be. If you need time to think about it before you go ahead, then don’t be afraid to tell the tattooist. Whatever happens, don’t be pressured into anything. As well as laser tattoo removal, Laserase Bolton offers a range of skin treatments including hair reduction, acne treatment, thread vein and birth mark treatment. For more information call Laserase Bolton on 01204 570900, email admin@laserase-bolton.co.uk or visit their website www.laserase-bolton.co.uk. This entry was posted in Laserase Bolton and tagged Bolton, Darwen, Lancashire, Laserase Bolton, Tattoo Removal on May 27, 2015 by Shaun. A competition winner at this year’s Manchester International Tattoo Show has generously donated her prize to a friend, to help her have an unwanted tattoo removed. Angela Wilson from Bolton donated the £100 Laserase vouchers she won to her friend Deepa Khatri who was saving up to have a tattoo removed. Deepa, who is also from Bolton, said she was really happy with the vouchers. Deepa had some music symbols tattooed on her wrist about eight years ago, when she was a student. “Last year I finished university and I decided that, now I am in employment, I didn’t want the tattoo any more,” explains Deepa. Deepa had a few tattoo removal sessions previously and was just saving up for some more, which is why the vouchers were so welcome. The competition that Laserase Bolton ran at the Tattoo Show was to guess how many removal treatments were needed to remove a tattoo which they had pictured. Angela correctly guessed that 10 treatments were needed. As well as tattoo removal, Laserase Bolton offers a range of skin treatments including thread vein and unwanted hair removal, skin rejuvenation, acne and birth mark treatments. For more information call Laserase Bolton on 01204 570900 or visit their website www.laserase-bolton.co.uk. This entry was posted in Laserase Bolton, News, Uncategorized and tagged Bolton, Laserase Bolton, Tattoo Removal on April 22, 2015 by Shaun. Despite recent reports in the media about the cost of NHS laser tattoo removal, tattoo removal on the NHS is rare and is only carried out when major trauma is being caused to the patient, according to Laserase Bolton. Figures showing that more than two thousand people have had tattoos removed on the NHS over the last five years, at a cost of over £330,000, are just the tip of the iceberg when it comes to tattoo removal, explains Laserase Bolton, with many thousands of private tattoo removal treatments taking place each year. Julie Kershaw, Clinic Manager at Laserase Bolton, says: “At Laserase Bolton alone we have carried out over 10,000 tattoo removal treatments over the last 20 years – and our prices are a fraction of those quoted in the press, starting at only £40 a session. Although almost all of Laserase Bolton’s patients pay for their own tattoo removal, the clinic is fairly unique in that it only uses experienced and qualified doctors and nurses to carry out laser tattoo removal treatment. Laserase Bolton is approved by the Care Quality Commission and always puts patient safety and care first. The number of tattoo parlours has rocketed in recent years and, as a result of this growth in popularity of tattoos, more and more people are turning to clinics like Laserase Bolton to have them removed. This can be for a variety of reasons, such as to improve job prospects, to remove the name of an ex-partner or just because people have changed their mind. This entry was posted in Laserase Bolton and tagged Bolton, Laserase Bolton, NHS, Tattoo Removal on March 31, 2015 by Shaun. The number of tattoo parlours licensed in Bolton has rocketed over the last ten years according to figures from Bolton Council. A freedom of information request to Bolton Council from laser clinic Laserase Bolton situated in the grounds of the Royal Bolton Hospital shows that the number of tattoo parlours in Bolton has grown from 4 in 2004 to 37 in 2014 – an 825% increase. The growth of tattoo parlours in Bolton is much more dramatic than in the country as a whole. A report from Experian published last year showed that the number of tattoo parlours nationally grew by 173% over the last decade. Julie Kershaw, Clinic Manager at Laserase Bolton, says: “Anyone who knows Bolton will realise that the number of tattoo parlours in the town has rocketed in recent years. Tattoos are very popular these days, but as a consequence of that we are seeing a growing number of people coming to our clinic for tattoo removal. Laserase Bolton is the region’s leading laser clinic and has been carrying out laser tattoo removal for over 20 years. It has removed over 10,000 tattoos in all. All of its practitioners are qualified doctors and nurses. “It is important that anyone thinking of having a tattoo checks out the tattoo parlour first,” says Julie. “As well as checking that it is registered with the local Council, make sure it looks clean and displays a health and safety certificate; check if they are a member of a recognised tattoo trade organisation and, if you know anyone with tattoos, why not get a recommendation from them first, or ask the parlour for customer testimonials. This entry was posted in Laserase Bolton, News and tagged Bolton, Laserase Bolton, tattoo parlours, Tattoo Removal on March 4, 2015 by Shaun. Clients of L aserase Bolton will benefit from a faster, more flexible service now that Sister Saria Tahir has qualified as an Independent Nurse Prescriber. 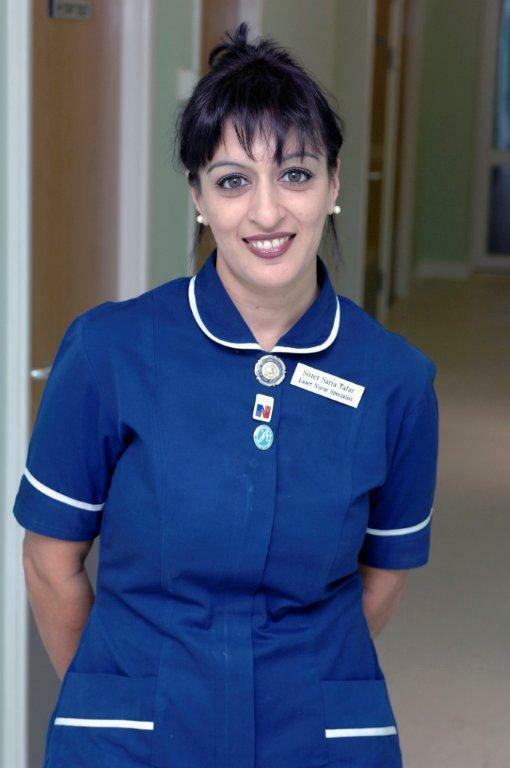 Saria from Bury, who is already a State Registered Nurse and is fully trained to deliver a range of laser and injectable skin treatments, will have the same prescribing abilities as a doctor thanks to her new qualification. Previously a doctor at the clinic had to prescribe all injectable treatments, whether that was for thread veins or facial lines and wrinkles, but now that Saria herself can prescribe treatments, the process will become quicker and easier for patients. Saria said: “This new qualification will enable me to take a patient from initial consultation through to treatment, helping to make it a smooth and seamless process. Delivery of care will be more efficient and robust. Independent Nurse Prescribers are specially trained nurses who are allowed to prescribe medicines within their field. The course that Saria undertook at Edge Hill University in Ormskirk gives her all the necessary skills to prescribe safely and effectively. This entry was posted in Laserase Bolton, News and tagged Bolton, Bury, Laserase, Nurse on October 11, 2013 by Ethos public relations news.